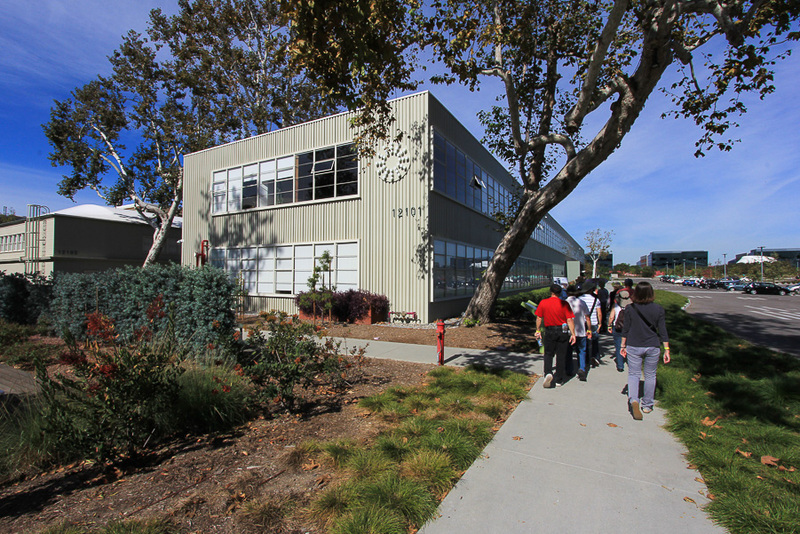 October 24, 2015 - Today the Los Angeles Conservancy sponsored a tour of the former Hughes Aircraft Company's sprawling complex in Playa Vista, CA. This campus once spanned over a thousand acres, employed over 30,000 workers, and housed the longest private runway in the world. It was here that Hughes and his team designed and constructed planes, helicopters, satellites, lasers, and most famously, the Hughes H-4 Hercules flying boat, more commonly known as the “Spruce Goose.” Over two hundred feet long, with a wingspan of 320 feet, the H-4 still holds the record as the largest airplane ever to fly. 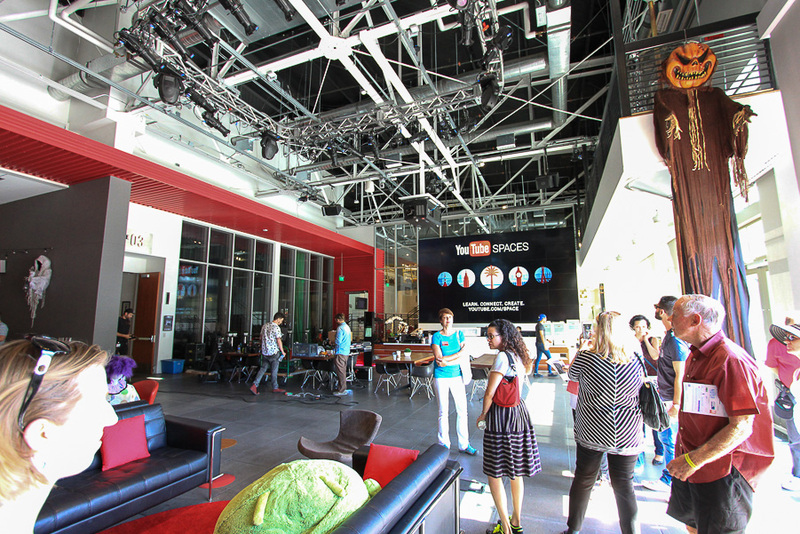 Now the campus is a Southern California hub for innovation with tech and media tenants such as Google's YouTube. Films shot here have included Avatar, Star Trek, and the Transformers. 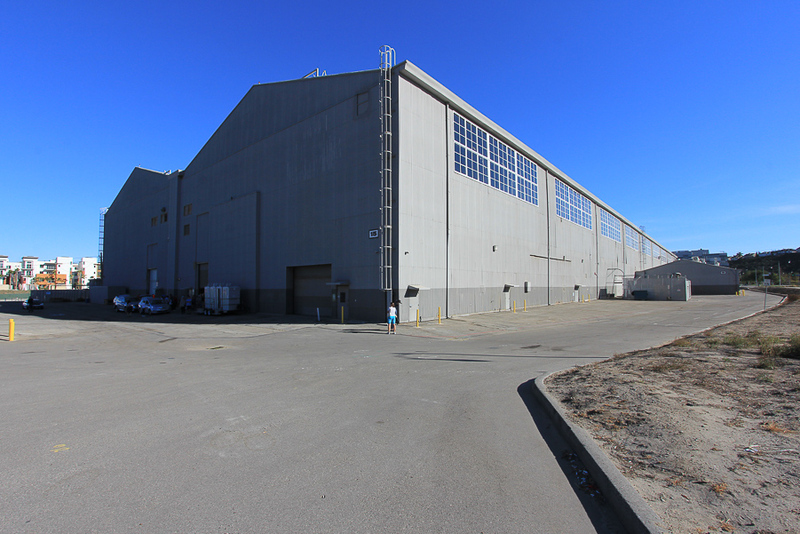 The building where the Spruce Goose was constructed was called the Cargo Building (Building 15) when it was built in 1943. It is massive at 742 feet long, 76 feet high and 268 feet wide. It was built entirely of wood. 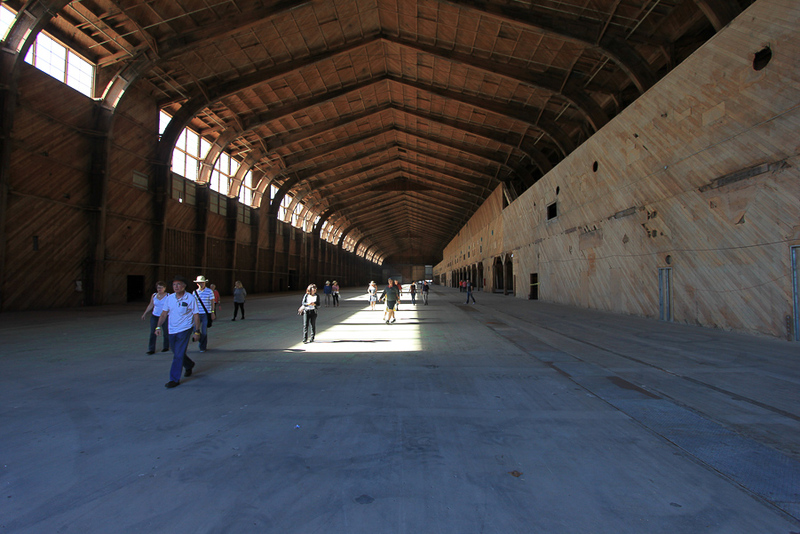 The south bay of the Cargo Building is where the wings were built. The fuselage was built in the north bay, which is to the left. This view is looking down the south bay of the building from the other end. 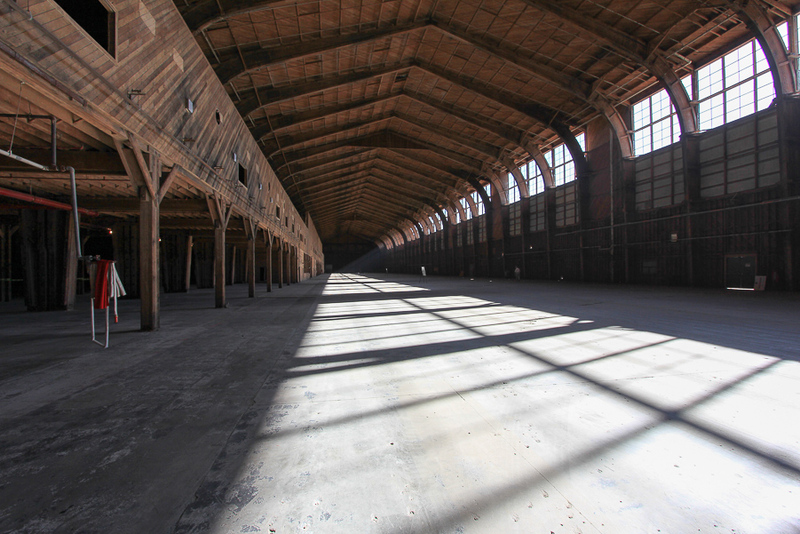 Google has recently leased the entire Cargo Building and other buildings in the complex, but how they intend to use the space isn't known at this time. 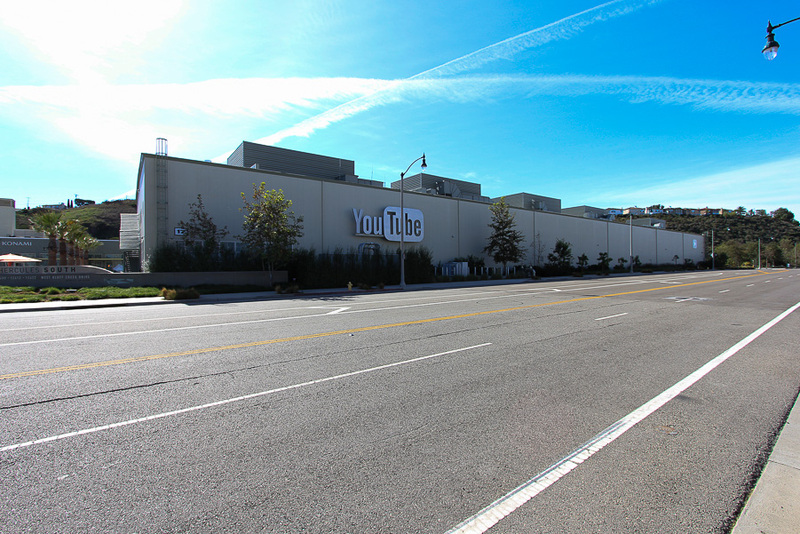 Currently YouTube occupies the former Hughes Building 17, which was built in 1950 for warehouse and office space, as well as housing the Hughes Campus Medical Center. 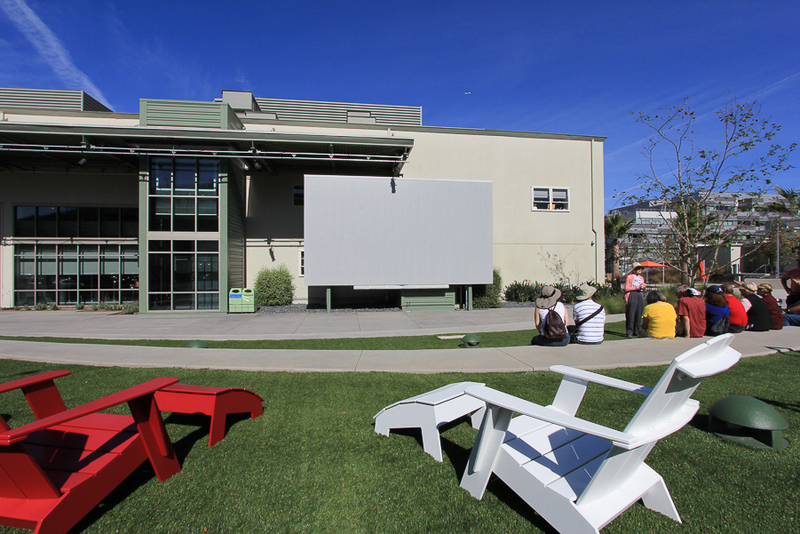 There's an outdoor amphitheater behind the building next to its main entrance. 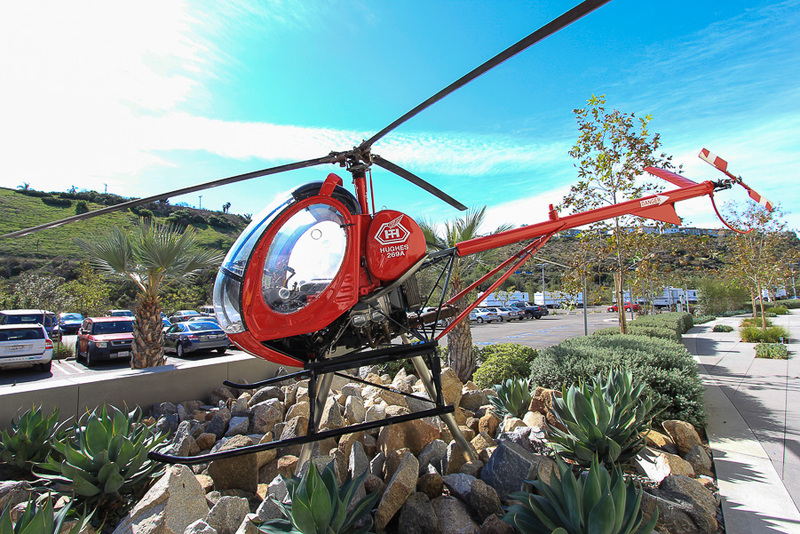 One of the Hughes helicopters built here sits right outside YouTube's main entrance. The Administration Building (Building 1) was built in 1951 and contained all of the executive offices on the second floor, which was called "Mahogany Row" since all were paneled in solid mahogany. The space is now occupied by 72andSunny, an advertising firm. The developer, the Ratkovich Company, has transformed the campus through a highly effective approach of adaptive reuse. 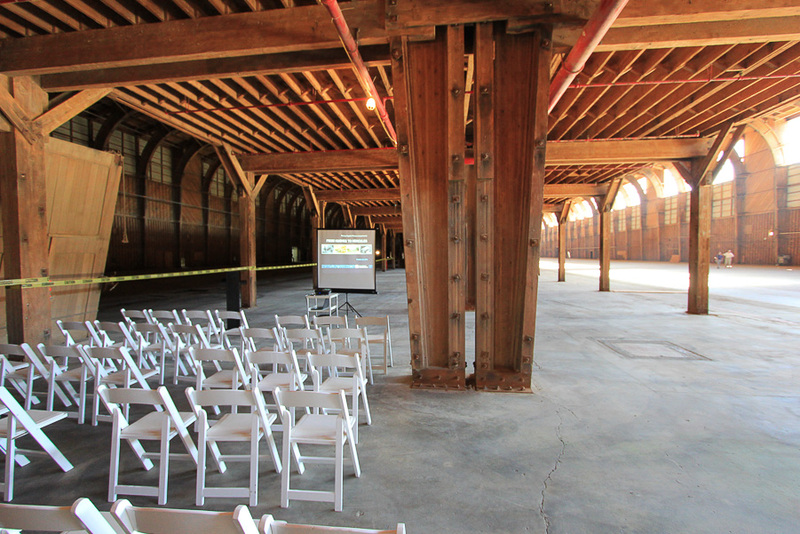 Adaptive reuse is the rehabilitation of a historic structure for a use other than its original purpose. It was a long tour that lasted about two hours. Before we arrived we stopped for breakfast at Norm's and we both had their "Bigger, Better Breakfast."